Over half of Brits would consider travelling abroad for an assisted death if terminally ill, yet only a quarter could afford it. Polling released today (Monday 13th November 2017), reveals that over half (53%) of Brits would consider travelling to Switzerland for an assisted death, yet only a quarter (25%) said they could afford the average £10,000 cost. It also found that two-thirds (66%) of people would consider breaking the law to assist a terminally ill loved one to have an assisted death abroad. The polling, conducted by YouGov, is being released today to launch a new report, The True Cost: How the UK outsources death to Dignitas. The research reveals that the current law, which prohibits assisted dying in the UK, is deeply flawed and is failing terminally ill people and their loved ones. Due to a lack of meaningful choice at the end of life at home, many dying Britons feel forced to investigate an assisted death overseas. However, as this report uncovers, the associated financial, logistical, physical and emotional costs mean that this option is out of reach for many terminally ill people. Dying people who are unable to obtain an assisted death abroad can go on to endure unbearable suffering and painful deaths in the UK. The report is based on research commissioned by Dignity in Dying, which campaigns for a change in the law to allow terminally ill, mentally competent adults the option of an assisted death in their final months. Independent researchers conducted in-depth interviews with three groups of people: those with a terminal illness who are considering an assisted death in Switzerland; those who have helped a loved one to have an assisted death in Switzerland; and those whose loved one considered an assisted death in Switzerland but died in the UK. Dignity in Dying also carried out secondary research on the financial costs involved in arranging an assisted death in Switzerland and analysed the enquiries the organisation has received from people seeking information on how to control their deaths1. The report finds that one of the greatest obstacles to arranging an assisted death overseas is the cost, which Dignity in Dying estimates at £10,000 on average (including fees from organisations providing the service, travel and accommodation). Polling has revealed that while over half (53%) of Britons said they would consider an assisted death abroad if they were terminally ill, just a quarter (25%) would be able to afford it2. Emil Prysak, 30 from London, contributed to the research. His mother was diagnosed with thyroid cancer which spread throughout her body. She initially ruled out Dignitas because of the cost involved, but later regretted it due to the pain and suffering she experienced at the end of her life. The report also reveals logistical challenges that make obtaining an assisted death abroad impossible for many dying people. The process is complex and time-consuming, meaning many people require help from family and friends to make arrangements and travel there, yet any assistance provided to someone seeking an assisted death is against the law. Polling reveals that two-thirds (66%) of Britons said they would consider breaking the law in order to help a loved one, either through help with planning the trip, accompanying them to Switzerland or contributing financially2. This leaves many terminally ill people stranded without the necessary legal or personal support to obtain an assisted death abroad. Caroline Villar, 39 from County Down, was also interviewed for the research. When her mother Margaret received a terminal diagnosis of cancer, she considered an assisted death in Switzerland, but feared the legal implications for her family if they helped her. She ended up having a painful death at home in Northern Ireland. Another obstacle is the requirement to be physically able to travel to Switzerland. This often has the perverse effect of forcing terminally ill people to die earlier than they would have otherwise wanted to, or being unable to travel at all. Carol Taylor OBE, 64, and her husband Mick Murray, 70, from Derbyshire, accompanied their friend Bob Cole to Dignitas in 2015 when he was dying of mesothelioma. The report finds that dying people seeking an assisted death abroad also face a postcode lottery when it comes to cooperation from healthcare professionals. Medical bodies are failing to provide clear guidance on how to effectively respond to requests for help in obtaining an assisted death overseas. Reactions from healthcare professionals vary widely from point-blank refusal to discuss their patients’ plans for an assisted death abroad, to implicit cooperation in making arrangements. 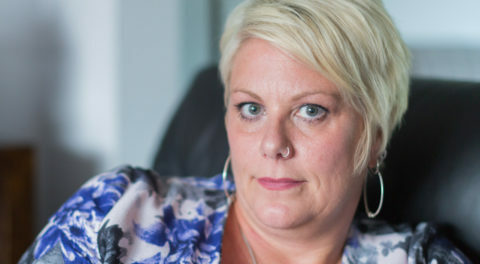 Julie Smith’s (47, from Birmingham) husband Paul was diagnosed with prostate and bone cancer in 2014 and was denied access to his medical documents when trying to arrange an assisted death in Switzerland. His health later deteriorated and he was unable to continue with his plans. The report also highlights that the current law does not protect vulnerable people. Figures from Dignitas3 show that every eight days someone from Britain is travelling there for an assisted death. Yet there are currently no legal mechanisms to trigger an advance investigation if someone is considering doing so and only a minority of cases are investigated after the fact, meaning malicious or coercive behaviour could go undetected. The criminalisation of assisted dying in the UK also means that the process of seeking one overseas often happens behind closed doors, sometimes leading people to investigate more dangerous and traumatic methods to end their own lives at home. Dr Simon Sandberg, 59 from Battersea, accompanied his friend Simon Binner, who had terminal motor neurone disease, to have an assisted death in Switzerland in 2015. The story was covered in the 2016 BBC Two documentary Simon’s Choice. “This report exposes the unacceptable reality that is faced by so many dying people in this country. By denying terminally ill people the option of an assisted death at home, we are not solving the problem, just outsourcing it to Switzerland – and dying people and their families are the ones paying the price. Terminally ill people are paying huge sums of money, spending their final months overwhelmed by paperwork, being made to feel like criminals and dying earlier than they would have wanted – all in order to have the peaceful, dignified death they want and deserve. Those that are unable to obtain an assisted death overseas can end up suffering painful and traumatic deaths at home or taking drastic measures to end their own lives. This is not how a civilised country should treat its dying citizens. The full report can be downloaded via this link.The full report can be downloaded here. For more information or interview requests, please contact Ellie Ball at ellie.ball@dignityindying.org.uk or 0207 479 7732. People whose loved one considered an assisted death in Switzerland but died in the UK. Dignity in Dying carried out secondary research on the financial costs involved in obtaining an assisted death in Switzerland. Dignity in Dying also commissioned polling from YouGov as part of the report. All polling figures, unless otherwise stated, are from YouGov Plc. Total sample size was 1,648 adults. Fieldwork was undertaken between 24th – 25th August 2017. The survey was carried out online. The figures have been weighted and are representative of all GB adults (aged 18+). YouGov is registered with the Information Commissioner and is a member of the British Polling Council. Dignity in Dying campaigns for greater choice, control and access to services at the end of life. It advocates providing terminally ill adults with the option of an assisted death, within strict legal safeguards, and for universal access to high quality end-of-life care. For more information, visit www.dignityindying.org.uk. 1 Dignity in Dying does not provide practical assistance or advice in ending life and it does not provide enquirers with the contact details of organisations who do so. Dignity in Dying campaigns within the law to change the law in the UK to allow terminally ill adults to have the option of an assisted death in their final months. 2 Polling conducted by YouGov.